He and some of his friends talked about developing exciting stories based on men of the Bible. They decided that the real life adventures of King David and his band of warriors known as the Mighty Men, found in 2 Samuel and 1 Chronicles, were some of the most gripping. After five years of research and writing, the result was his debut novel Day of War, the first entry in a series of five called Lion of War. He is a former Army officer and runs the Giborrim course, a training program for men wishing to get involved in fighting the sexual exploitation and trafficking of young girls and women. Cliff lives with his wife, Cassandra, and their four children. In 2006, Cliff began writing his novel, Day of War, about the battles of King David and his warriors. He envisioned it being the first of five novels called the Lion of War series. He wrote it in his spare time, as during the day he worked full-time in ministry at a church, and in the evenings he was a full-time seminary student. Additionally, on weekends he was fulfilling the remainder of his service commitment as an Army officer in the reserve component. The finished novel was eventually picked up by Zondervan, an imprint of the major publisher Harper Collins, as part of a two book deal. Filmmakers soon optioned it to be produced as a major motion picture franchise. In the time since the initial publication of Day of War, he released its sequel Covenant of War through Zondervan. He also created an early reader program where he could release the third book in the series, Song of War, to a limited number of readers. Cliff also published a novel about the Biblical character Caleb named Shadow of the Mountain through the publisher Bethany House, and occassionally releases short stories in his Hall of the Mighty Men series, a spinoff of the Lion of War series that tells the origin stories of characters in the novels. What does “Good Battle” look like in the modern age? Cliff sits down with people advancing the kingdom of God in brave and audacious ways. Every man, no matter his past or his occupation, is expected to threaten the Enemy with his life. There are no longer Philistines or Amalekites to battle, but there is still a spiritual Enemy who seeks to steal, kill and destroy. Men are designed to make war on this Enemy in the power of a Holy God. 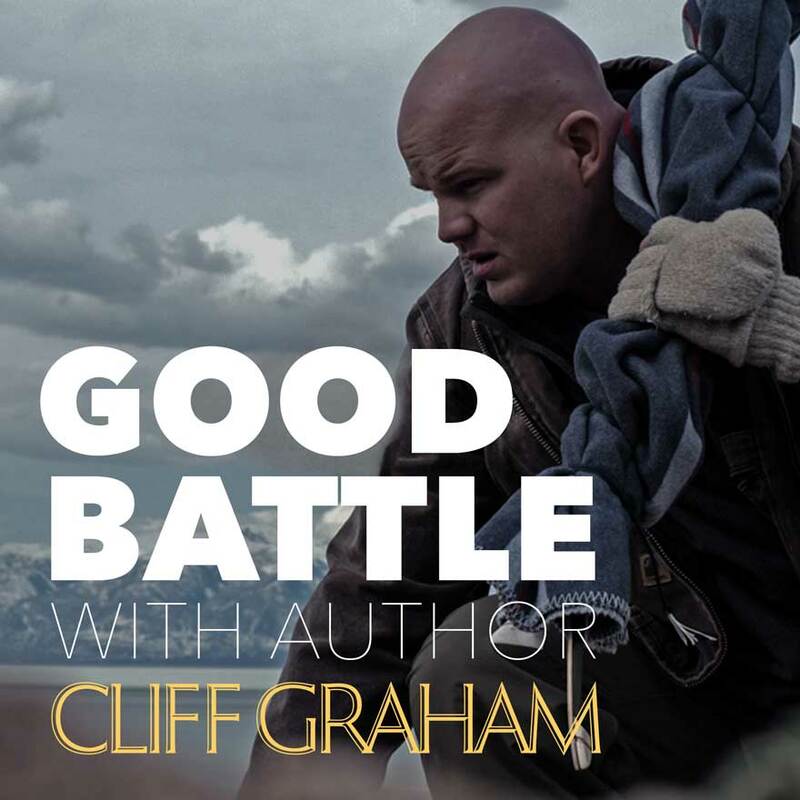 In this podcast, Cliff sits down with people waging “good battle” to advance the kingdom of God through compassion, love, and righteous ferocity, and discusses a wide range of topics with the audience. Additionally, Cliff has two other podcasts: The Hall of the Mighty Men, where Cliff narrates stories from The Hall of the Mighty Men collection, and Kavode, where Cliff will be teaching on the life of David. Gibborim is the Hebrew word for "Warrior Men," and is a program for ordinary guys to challenge themselves in the way that King David's warriors did 3,000 years ago. Attendees learn many new skills and are informed of ways to become involved in helping the most vulnerable in society. Inspired by Cliff's work, and carefully constructed by law enforcement professionals with many years of operational experience, the Gibborim course is a simulated rescue operation that takes place over an intense 48 hours. It is designed to test, train, evaluate, and mobilize men from all backgrounds. Course sizes are small and can be customized as a corporate retreat, men's ministry event, father/son adventure, or attended as an individual participant. No prior experience in law enforcement or military is necessary to attend an initial Gibborim course. Cliff filmed several promotional videos in Israel for his novel series "Lion of War." They provide a good glimpse into the experience.